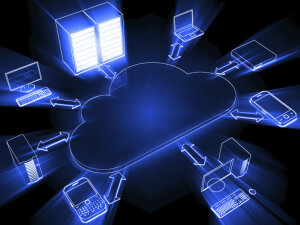 Cloud Computing Services: IT Simplicity and Performance. Enjoy all the benefits of having a data center in-house, without all the headaches—no need to find storage space, arrange for licensing and setup, IT support, etc. Your New York City business’ vital systems and data will be protected from loss and theft thanks to multiple redundant storage sites. With our cloud computing management services you can increase or decrease your capacity (and capabilities) whenever you want–without needing to invest in new hardware. Get 24/7 access to our expert cloud computing service professionals. They’ll answer any questions you have—and also keep an eye on your critical systems to guarantee business continuity for you. Enjoy high-level cloud computing management features such as server visualization, automatic data backup, and remote accessibility to your information—all at a price you can afford. Contact MicroNet Solutions now to learn how cloud computing can work for your company.